v3.0 "Like us, if you are a Technophile"
What is a Leap second? A leap second is a one-second adjustment that is occasionally applied to Coordinated Universal Time (UTC) in order to keep its time of day close to the mean solar time. Without such a correction, time reckoned by Earth's rotation drifts away from atomic time because of irregularities in the Earth's rate of rotation. A leap second is a second which is added to Coordinated Universal Time (UTC) in order to synchronize atomic clocks with astronomical time to within 0.9 seconds. Why Do We Need Leap Seconds? The reason we have to add a second every now and then, is that Earth's rotation around its own axis, is gradually slowing down, although very slowly. Atomic clocks however, are programmed to tick away at pretty much the same speed over millions of years. Compared to the Earth's rotation – which determines the length of a day – the atomic clocks are simply too accurate. 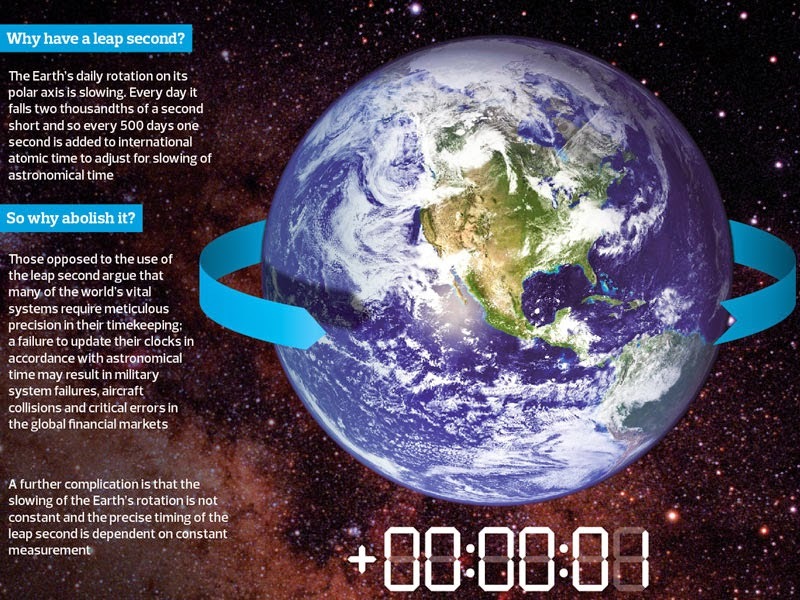 Exactly how do Leap seconds work? How Often Are Leap Seconds Added? Did you notice? The last leap second was added at 23:59:60 UTC on June 30, 2012. Since 1972, a total of 25 seconds have been added. This means that the Earth has slowed down 25 seconds compared to atomic time since then. This does not mean that days are 25 seconds longer nowadays. Only the days on which the leap seconds are inserted have 86,401 instead of the usual 86,400 seconds. Here is the list of useful websites on the internet. Most of these sites can solve your problems. Scientists Successfully Use DNA to Store and Retrieve Images. Corning’s Gorilla Glass- Does Your Smartphone Really Need a Screen Protector?